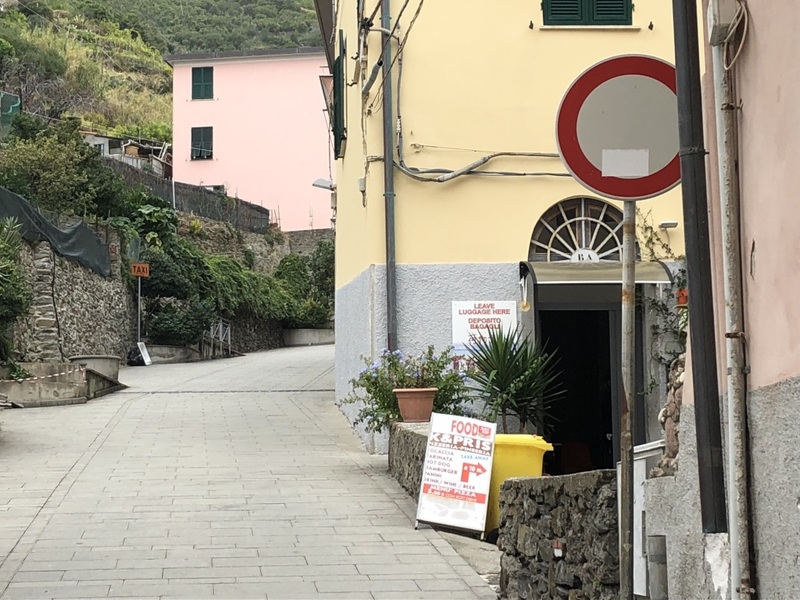 Cinque Terre – If you are staying in Riomaggiore and have suitcases and back packs, don’t try and find the Green Bus – it is a long steep walk to where it leaves from in the main street. You can catch a taxi from the train station, shown in this photo. When we visited, the lift from the train station to the street level was not functioning. It was over 300 steps to our hotel, after a long, steep walk through the main street, so the taxi was by far the best option with our luggage.